A Place For Movie Fans…Let's Enjoy Them Together! The resourceful A-10 pilot from Terminator Salvation has her own story in this kick-‘bot prequel filmed via the innovative Machinima process that turns video-game elements into a full-blown animated story. Moon Bloodgood reprises her T4 role, providing the voice of Williams as she takes on an explosive mission to track what or who is disrupting comm links during the Resistance’s fierce guerrilla war against Skynet. T-600s emerge, guns blazing. MotoTerminators patrol post-Apocalyptic L.A. Aerostats hover. Hunter Killers rain death. Machinima delivers action and style in a big way. 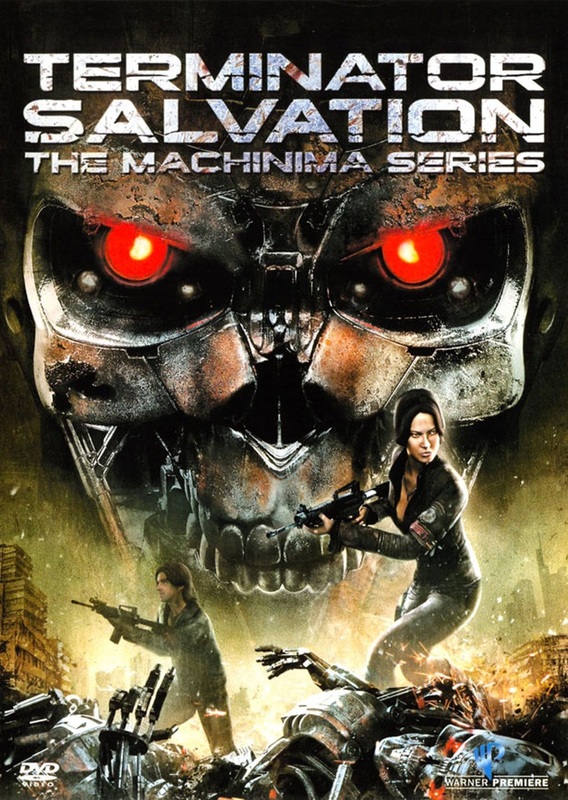 Reboot the future with Terminator Salvation: The Machinima Series. I’m not gonna spend much time on this as it would be a waist of your time to read it…just like it was a waste of my time to watch this stupid collection of lame video game reals with a poorly done voice over dubbed in. Keeping in mind that this collection is really a series of internet shorts created as a precursor to the movie and as a strange promotional of the Terminator Salvation video game. It was a strange promotional that ultimately failed. The back story on Williams is interesting…but not interesting enough to put up with how poorly the execution of this idea was. The whole time watching it I just couldn’t get past the fact that they used a really bad video game engine to create this waste of space story. The whole video game engine thing doesn’t come off as creative…it comes off as cheep. Really…really…REALLY cheep. The only reason I sat through this piece of garbage was to write this review. I knew right away it would be bad, but I hoped it would get better…it does not. There is no take away from this story that adequately justifies the need to sit through it. There is no set up to Terminator Salvation that makes this worth your time. So let this be your warning…don’t waist your time. Seriously…don’t. It’s 74 min. you’ll never get back. .5 stars out of 5. Fletcher Reid is a fast talking attorney and habitual liar. When his son Max blows out the candles on his fifth birthday cake, he has only one wish, ‘that his dad would stop lying for 24 hours’. When Max’s wish miraculously comes true, Fletcher discovers that his biggest asset (his mouth) has suddenly become his biggest liability. Legal and emotional havoc ensue as Fletcher tries to keep his practice afloat and his ex-wife Audrey from taking their son and moving to Boston. I had forgotten how much I liked this movie. I hadn’t seen it in a long time. Sooooo funny. I love how Carrey’s character progresses in this film. He really does steal the show. In addition to the great humor, the moral of the movie is timeless, and one that we all need to be reminded of. Lies and broken promises can really hurt the ones we love. To really be a person of honor and integrity is hard now a days. I mean, how many people really make there word mean something. Trust is hard because we never earn that trust with those around us. There is such a lack of integrity in our society today. It’s sad really. Where are the people of integrity? Where are the people who mean what they say…even when it may costs them something? 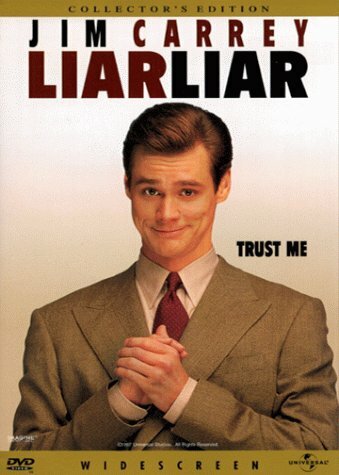 For a great lesson and a classic Jim Carrey performance I’m giving this one 4 stars. A depiction of the last twelve hours in the life of Jesus of Nazareth, on the day of his crucifixion in Jerusalem. The story opens in the Garden of Olives where Jesus has gone to pray after the Last Supper. Betrayed by Judas Iscariot, the controversial Jesus–who has performed ‘miracles’ and has publicly announced that he is ‘the Son of God’–is arrested and taken back within the city walls of Jerusalem. There, the leaders of the Pharisees confront him with accusations of blasphemy; subsequently, his trial results with the leaders condemning him to his death. Jesus is brought before Pontius Pilate, the Roman Governor of Palestine, for his sentencing. Pilate listens to the accusations leveled at Jesus by the Pharisees. Realizing that his own decision will cause him to become embroiled in a political conflict, Pilate defers to King Herod in deciding the matter of how to persecute Jesus. However, Herod returns Jesus to Pilate who, in turn, gives the crowd a choice between which prisoner they would rather to see set free–Jesus, or Barrabas. The crowd chooses to have Barrabas set free. Thus, Jesus is handed over to the Roman soldiers and is brutally flagellated. Bloody and unrecognizable, he is brought back before Pilate who, once again, presents him to the thirsty crowd–assuming they will see that Jesus has been punished enough. The crowd, however, is not satisfied. Thus, Pilate washes his hands of the entire dilemma, ordering his men to do as the crowd wishes. Whipped and weakened, Jesus is presented with the cross and is ordered to carry it through the streets of Jerusalem, all the way up to Golgotha. There, more corporal cruelty takes place as Jesus is nailed to the cross–suffering, he hangs there, left to die. Initially, in his dazed suffering, Jesus is alarmed that he has been abandoned by God his father. He then beseeches God. At the moment of his death, nature itself over-turns. 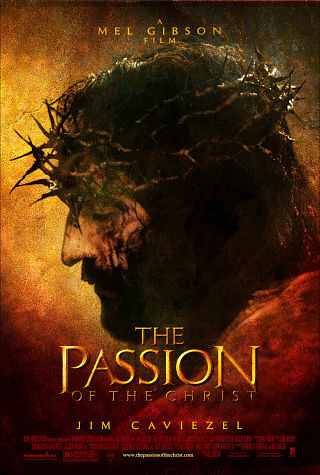 So, seeing as how it’s Easter I figured it was only appropriate to watch The Passion of the Christ. This is a tough movie for anyone to watch. It’s not really the type of movie that you say you “enjoyed” watching. You aren’t suppose to enjoy it…it’s suppose to make you think, and put things into perspective. And if you do “enjoy” it…well then you’re just some sick sadist with a vehement hatred for Jesus or something. A note, for those that are a bit queezy by the show of graphic violence in movies, there is an edited version available on DVD. I have made a habit of trying to watch this movie once a year and only once a year. That usually ends up being around Easter. Any more than once a year seems a bit excessive, and the “shock” value that is intended is easily lost. Christian or not, this film is an amazing story about the pain, sacrifice and suffering that Jesus was willing to endure…all powered by love. This is a kind of sacrificial love that needs to be seen by most Christians today. The sacrifice and devotion Jesus had to willingly push on through all of this is inspiring…it really is. Then, as a Christian, I know that he did all that for me…that just blows my mind. Anyone who doubts their worth as a person need only look at what Jesus chose to endure and suffer on their behalf to see they are truly valued by God. Even if you aren’t a Christian this movie is just done so well. It really is an epic film and totally worth watching at least once. Jim Caviezel pulls of an amazing performance. Had there not been so much pointless “anti-religion” controversy surrounding this film he would have at least been nominated for an Oscar. To pull of such a strong performance, and in a dead language no less…just an amazing performance. But let’s be real, anyone taking on the role of Jesus isn’t going to get nominated for an Oscar…no matter how good it is. Then there is one of my favorite aspects of any truly good & epic film…the musical score. This one is incredible! It adds so much to the mood, flow and dynamic of the film. It’s one of my favorite sound tracks (Pity, I still don’t have a copy of it. I’ve been looking but it’s hard to find). If you are a dork like me and love motion picture scores…this one is a must have. I know…I don’t have it, but I still stand by my opinion (and the score did get nominated for an Oscar if I remember right, as did cinematography). All in all this movie is totally worth the watch. If you don’t know much about the story of Jesus or if it’s been a while. It might be worth reading about before you watch it. That helps to put this portion of the “Gospel Story” into perspective. I know there are a lot of people out there that may know about the story. You may “have a pretty good idea,” but there are some things about this movie that really click (if even from just a literary perspective for the “non-religious” out there) if you take the time to just read it yourself. I think they based the movie on the accounts written in the Gospel of John. It’s a rather quick read, and really helps set up the film. I’ve said all of that to say this. 5 Stars out of 5. It’s a real unique, epic and inspiring film. In THE MAJESTIC, Jim Carrey stretches his talents and proves that he can be a credible serious actor with his portrayal of Peter Appleton, a Hollywood B-movie screenwriter who is black listed during the McCarthy era. A car accident costs him his memory, and in the small coastal town where he ends up, he is mistaken for a local hero, presumed dead almost ten years ago in the war. Unable to recall anything of his “past” in the town, Appleton not only embraces his new identity, but becomes a pillar of the community, restoring hope that the residents lost along with many of their young men in World War II. In the process, he discovers new inspiration, new purpose, and a new life. This was an ironic picture to start this journey. As a big movie fan this picture is all centered around a small town that gets brought back to life by the help of a movie theater re-opening. It reminded me of a couple small theaters that I have been to and (I believe) are still up and running today. If you’ve never seen a movie in an old classic movie theater you don’t know what you are missing. There’s something very unique in the atmosphere of an old-fashion theater. Just a beautiful piece of architecture that adds a whole extra level of “special” to the movie watching experience. But this post isn’t about old theaters so I’ll just say find one near you and watch a movie in it. You’ll be glad you did. As for this unique Jim Carrey movie I simply loved it!!! This film’s foundation is found in the believable history of this town and the relationships of the characters who endure through it. 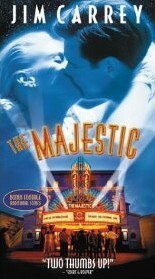 Having come from rural Minnesota I was able to relate to the small town life shown in The Majestic. I can imagine that a town of that size losing that many young men to war would really bring them together. But having one of them (possibly) return would be the event of the decade at least! As I said this was a unique role for Carrey to take on. Though it had it’s comedic moments this was not a comedy at all. It was more of a drama that dealt with a variety of very serious issues from the first amendment, to death, to honoring our fallen solders and eventually the troubled times in Hollywood during the Cold War and being “black listed.” If you don’t know much about this time in our nations history watching The Majestic will give you a good look at how high the tensions ran in Hollywood during this time. Eventually you will be cheering for Jim Carry as he fights for the first amendment and our solders who died to defend it. Funny enough is that even though it ends up being a rather political movie it never feels that way. It feels like a slice of life out of a small town in the 1950’s. That’s what gives this movie it’s charm…and it all centers on the experience of going to the movies. It brings people together…and it has for a long time. So overall I give it 3.5 out of 5 stars. It’s a great story with a slice of history thrown in there. I like that. RottenTomatoes.com Prominent movie review website. Yahoo Movies Movie reviews and information at yahoo.com.